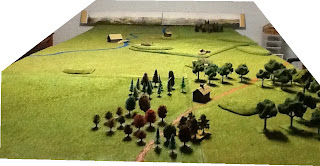 Our terrain for Borodino is now complete, save for adding the redoubt at Shevardino and the Borodino church. We are attempting to scratch-build the latter. Our version currently comprises the two ‘storeys’ complete with roughly shaped rooves, the bases of the domes and the sides of the stairs—it currently resembles a paddle-steamer! I am confident that some further touches, a bit of moulding with putty and some paint will transform it. 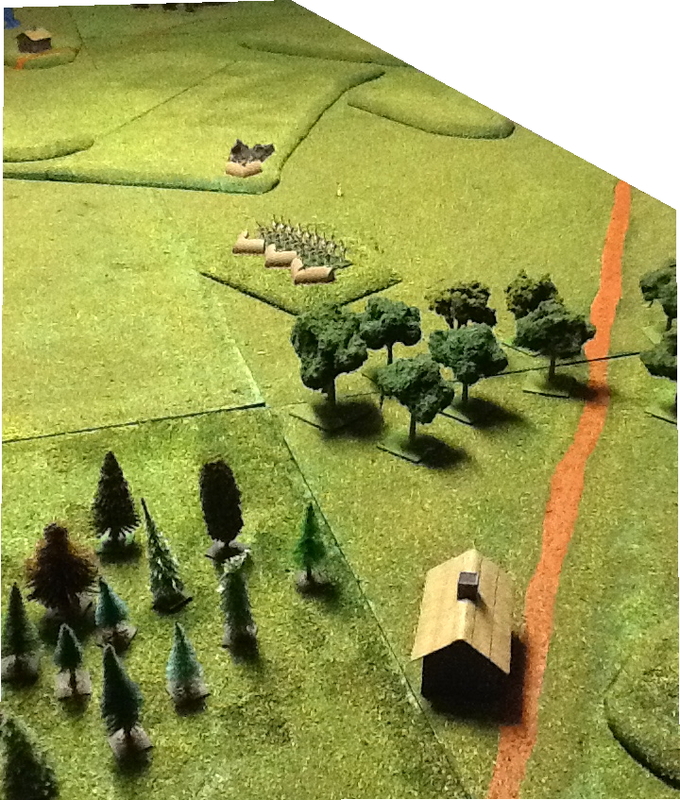 Above and below: two views of our completed Borodino battlefield—these photos also look like they were taken in 1911 as I did not have my camera that night, so used the one on the iPad. Utitsa is in the foreground, looking towards the line of the flêches, redoubt and Borodino (sans church). 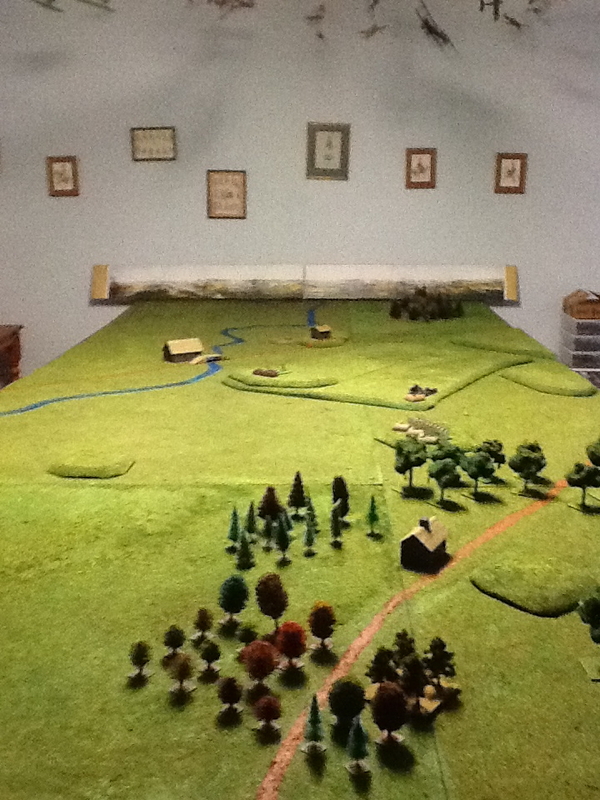 Note panel from the Borodino Panorama in the background. A Russian battery tries out the flêches for size. We have represented them as a straight line of fortifications for simplicity, so that they will accommodate a battery or unit of infantry at our scale (approx. 1 figure to 50 men, 1 gun model to 20 guns). View of the grand redoubt from Shevardino. 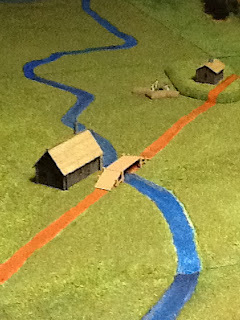 Borodino village and bridge looking towards Gorki. 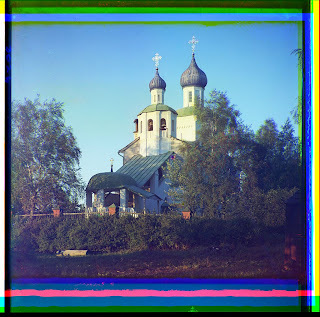 The village will be represented by this building and the church. As we all know, wargames are won off the table. A fun part of all this preparation time is that it has allowed for heaps of “psychological warfare”. 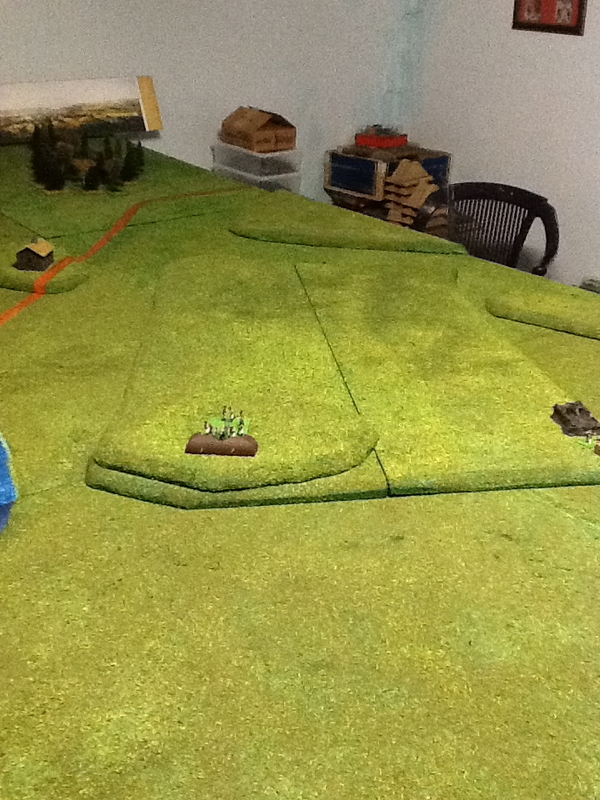 The battle has been ‘fought’, ‘won’ and ‘lost’ several times already, whilst we have been developing the scenario and building our terrain. All done in jest and in the best spirit, of course! Waiting to see the AAR! I agree with Rafael...we are all waiting for a AAR as beautiful as the battlefield! You will have to be a little patient gents. 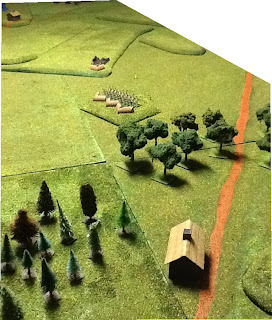 Our game is scheduled for the 200th anniversary to the day; 7th-9th September 2012. In the next post on this I hope to have photos showing many/most of the forces deployed.